It has been FOUR YEARS since I started this blog. Four years since I woke up one morning and thought "I need to get my act together with this National Trust membership. I joined six months ago and I haven't even managed to visit the huge stately home situated 1.5 miles from my living room. And when I do visit, I'm not learning much because I walk around thinking about cake and not really looking at anything." In a flash, it came to me - I always remember stuff when I write it down so I'll start a blog. And lo! The National Trust Scone Blog was born. Awarded 58 of them 5 out of 5 and a coveted Scone d'Or! Scone Boffin Corner: Interestingly, our hit rate has gone up in the last 12 months. We've visited 23 properties and 11 of them served 5-star scones. Even with my worse-than-Diane-Abbott-maths, I can tell that's pretty good, and with my trusty calculator I can tell you it's actually a 48% hit rate against a lifetime 37%! Fascinating. Peckover House & Garden - you can 'bank' on good scones at Peckover! It used to be a bank! See what I did there? Never mind. Clumber Park - the house was demolished many years ago, but Clumber offers beautiful gardens, a beautiful lake, and beautiful scones! The Needles Old Battery - it was originally known for being a row of chalk rocks, then for being piled up with guns for defence purposes, then as a secret missile testing site. And now - outstanding scones! Wicken Fen - home to 9,000 species of wildlife, flora, fauna and a first class species of scone! Bravo. Berrington Hall - even Capability Brown couldn't improve the scones at Berrington Hall - they were berri-good! Tyntesfield - maybe one day someone will describe Tyntesfield without saying "the man who built it made his money from Peruvian bird poo" but that day isn't today. The scones were a bird poo-free zone. Sudbury Hall - a great house AND the Museum of Childhood starring Sooty and Sindy AND an outstanding scone! What more do you want from life. Melford Hall - famed for its celebrity resident, the original Jemima Puddleduck! Her views on scones are not known. Wallington - the former home of Charles Edward Trevelyan, the third most hated man in Ireland (after Oliver Cromwell and Thierry Henry), who was name-checked in The Fields of Athenry. Belton House - the kids book and 80s TV show, Moondial, was set at Belton! And when I tweeted that I'd been there, the actor who played Tom responded! Fantastic. Felbrigg Hall - poor old William Frederick 'Mad' Windham - all he wanted to do was dress up as a train guard and blow a whistle on the station platform at inopportune moments. Instead he ran up huge debts and lost Felbrigg. Amazing scone. You can see all 137 scones on Pinterest. 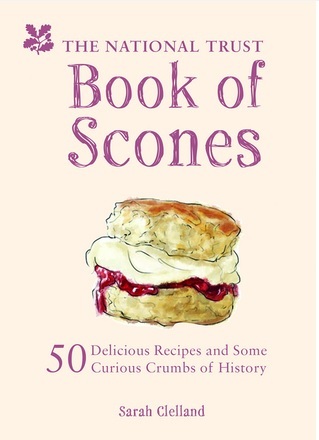 This year also saw the publication of the National Trust Book of Scones, which you can buy in NT shops or on the internet. 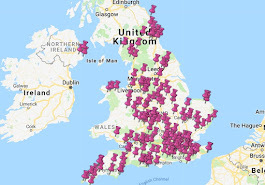 I'd like to sincerely thank all the lovely Sconepals for your ongoing support - keep sharing those National Trust scone sightings, either on Twitter or Facebook or Instagram. I still have a way to go until I have completed this National Trust Scone Odyssey - by my rough count, I have about 70 scones left to go. But I'm confident we can get there, so onwards and upwards!